We met Abhigya, the founder of Avalokitesvara Trust, about a year ago and got inspired by each other’s projects. 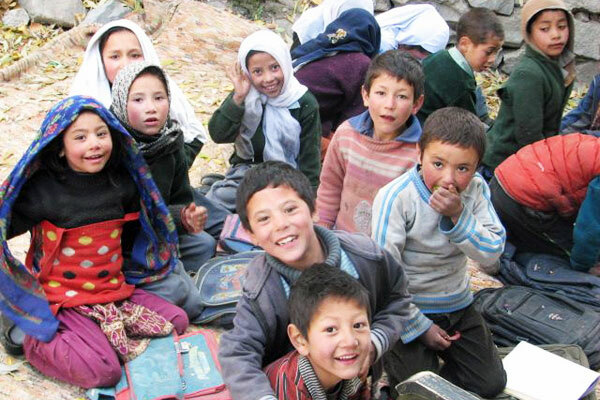 The Avalokitesvara Trust is working with schools in remote mountain areas of Ladakh, setting up small libraries and cozy reading rooms for the children to use and enjoy. They also organize teaching opportunities for enthusiastic and skilful volunteers and other exciting initiatives to enhance learning. Their efforts to help sustain and appreciate local cultures and traditions inspired us to create a few specific Ladakhi doll characters to be distributed within Avalokitesvaras projects. 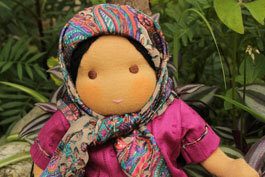 A year later, the first 24 dolls are on their way and soon will be distributed. 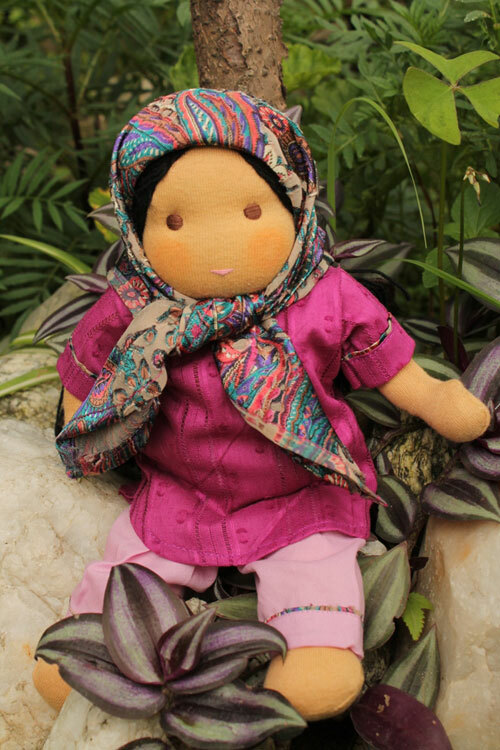 “We would like to introduce these delightfully endearing dolls as companions to young children in isolated villages of Ladakh. Since its inception in 2011, AT has set up 35 reading rooms that are not only learning centres for school-going children but also spaces of recreation, relaxation and respite. Dolls help children weave their own stories, enable creative expression and can be used as therapeutic toys encouraging play therapy. 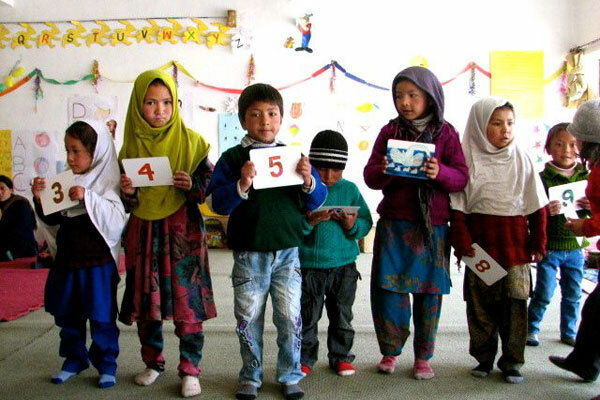 The project’s aim is to enhance the mental, emotional and psychological development of children within and beyond the education they receive at school, giving them the best possible foundation for the rest of their lives and we believe that the joy that comes from learning combined with play is an important aspect of each child’s growth. To support our joined endeavour, please visit the donation page, enabling you to directly contribute with either a certain sum or a specific number of Ladakhi dolls towards this project.